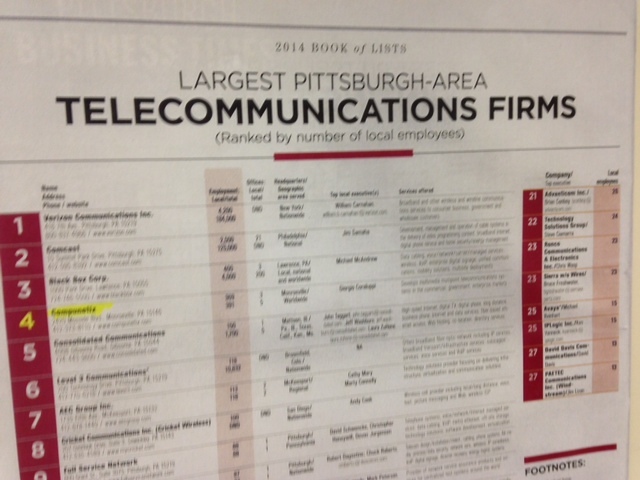 The Pittsburgh Business Times has ranked us as number four in their 2014 Largest Pittsburgh Telecommunications Firms listing! We’re proud of this achievement and look forward to continuing our growth! See the listing here. Interested in collaboration and want to join our team? We have a few great opportunities open; check out our careers page!